Sales of new single-family houses in December 2014 were at a seasonally adjusted annual rate of 481,000, according to estimates released jointly today by the U.S. Census Bureau and the Department of Housing and Urban Development. This is 11.6 percent (±16.5%)* above the revised November rate of 431,000 and is 8.8 percent (±17.9%)* above the December 2013 estimate of 442,000. The median sales price of new houses sold in December 2014 was $298,100; the average sales price was $377,800. The seasonally adjusted estimate of new houses for sale at the end of December was 219,000. This represents a supply of 5.5 months at the current sales rate. 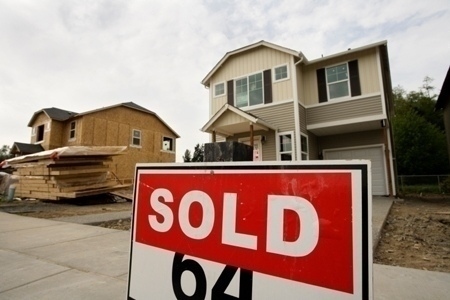 An estimated 435,000 new homes were sold in 2014. This is 1.2 percent (±2.9%) above the 2013 figure of 429,000. For more information, visit http://www.census.gov/newhomesales.